Blogger is a product of Google and blogging domain. 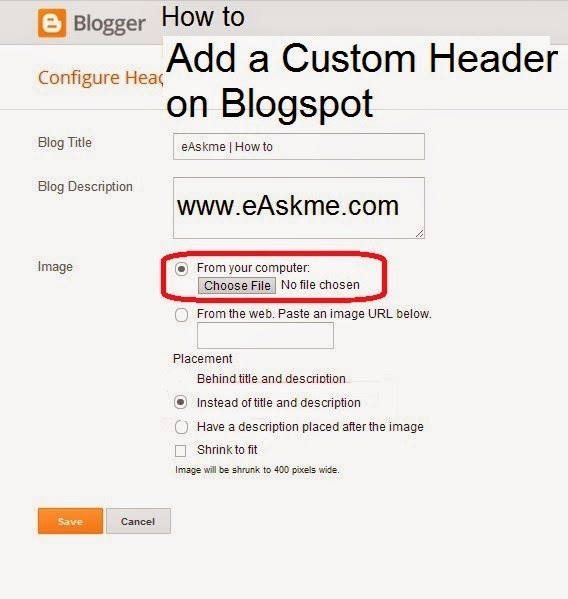 You can design your own graphic and text and upload it to your blogger blog header. How to Add a Custom Header on Blogspot? Select the image that you created and it will upload. You can place this image behind description and title or on the place of title and description.